The production capacity of Iran in the field of petrochemistry has increased by 8.58 million tons. Since 2013, when Hassan Rouhani took office, 16 new projects entered into operation. These projects in the amount of $ 6.47 billion include the Kurdistan petrochemical plant, the Ilam petrochemical complex, the Lurestan petrochemical complex, the Urmia sulfuric acid complex, the Mahabad petrochemical complex, petrochemical complex "Shiraz", petrochemical company "Karun", petrochemical company "Takht-e Jamshid", phase II of the petrochemical complex "Cavian", petrochemical project "Takht Jamshid Pars", polystyrene project "Entekhab", project "Morvarid", manufacturing plant urea and ammonia "Pardis", petrochemical project "Mardzhan" and two utility companies. These complexes, in addition to the petrochemical industry sector development and the completion of the value chain in this sector, have created new export markets, jobs and value added in the country. Under the leadership of President Rouhani, the share of the petrochemical industry in Iran in terms of production capacity of the main petrochemical products in the Middle East region increased from 22.2 percent to 23.5 percent from 2013 to 2018. In addition, over this period, the share of Iran in the global production of petrochemical products increased from 2.26 to 2.50 percent since 2013. 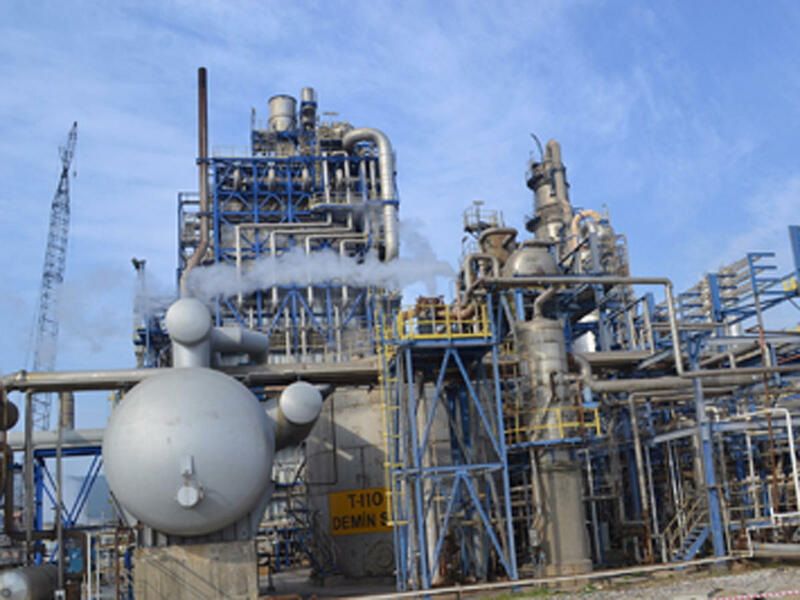 The number of operating petrochemical facilities operating in Iran has also increased by 26 percent from 43 to 54, and the installed capacity of the country's petrochemical enterprises has increased by 14 percent since 2013. Petrochemical products make up the largest volume in the statistical tablet of Iranian non-oil products export, which is more than 40 percent of the total non-oil export of the country. Iran exports its petrochemical products to several dozen countries in different parts of the world. As many as 13 percent of products are exported to the Indian subcontinent, 23 percent to the Southeast Asia countries, 22 percent to the China, 18 percent to the countries of the Far East, 5 percent to Europe and 19 percent to the Middle East. Despite the sanctions imposed against the export of Iranian oil, and consistently, the decline in oil exports, the sanctions imposed did not affect the export of petrochemical products. During the period of sanctions, one of the resources of Iran’s foreign exchange earnings was the petrochemical industry. The Iranian petrochemical industry has a variety of properties that attract Iranian and foreign investors. The most important feature of the industry is the presence of rich oil and gas resources to provide the necessary raw materials from the petrochemicals production. Iran ranks 4th in the world in terms of oil resources and uses the second largest gas reserves in the world. An important feature of Iran’s petrochemical industry is country's excellent geographical location and good access to Asian and European markets, as well as free seas, which makes it easier and cheaper to export and transport. Iran is the only state in the Middle East that produces a large amount of necessary equipment for the petrochemical industry on its territory.